(18/P108) TRENTON – New Jersey has committed to working with Northeast and Mid-Atlantic states in designing a new regional low-carbon transportation policy proposal that will reduce greenhouse gas emissions from the transportation sector, Department of Environmental Protection Commissioner Catherine R. McCabe announced today. The Transportation and Climate Initiative recognizes that a regional low-carbon transportation policy will spur policies and programs to reduce carbon emissions, improve air quality, help communities become more resilient to extreme weather, spur economic growth, and address the disproportionate burdens of climate change on environmental justice communities. “This effort fits in perfectly with Governor Murphy’s goals of fighting climate change by rejoining the Regional Greenhouse Gas Initiative, working toward a 100-percent clean-energy portfolio by 2050, making our state more resilient, and ensuring that we address the needs of communities that have been burdened for too long with the impacts of air pollution and climate change,” Commissioner McCabe said. Supported by Connecticut, Delaware, Maryland, Massachusetts, New Jersey, Pennsylvania, Rhode Island, Vermont, Virginia and Washington, D.C., the policy outlines the goals of such a program, including reducing climate-changing emissions, creating economic opportunity, and improving transportation equity for underserved and overburdened populations. It also sets a goal of completing the policy design process within one year, after which each member will decide whether to adopt and implement the policy. Facilitated by the Georgetown Climate Center, the Transportation and Climate Initiative, also known as TCI, is made up of the top environmental, energy and transportation officials from participating Northeast and Mid-Atlantic states. Goals of the collaborative effort include reducing traffic congestion, encouraging job growth and accommodating the flow of goods and services, and establishing state and local land use strategies that encourage transit-friendly designs. This effort is looking at improving the performance of existing highways, transit systems and other modes of transportation while enhancing neighborhoods and urban centers that promote mixed-use development and viable alternatives to driving. Hundreds of stakeholders and experts from across the TCI region participated in listening sessions that informed the announcement. Public input and other expert policy analyses leading to this step underscore the potential economic, environmental and public health benefits of reinvesting the proceeds from such a program. This effort has the potential to tap into more clean transportation options, such as public transit, transit-oriented development, zero-emission vehicles, innovative efficiency strategies, and other solutions that move people and goods more efficiently while generating less pollution. Trucks, buses and other vehicles comprise the single largest source of greenhouse gas emissions in New Jersey, at more than 40 percent of the total. 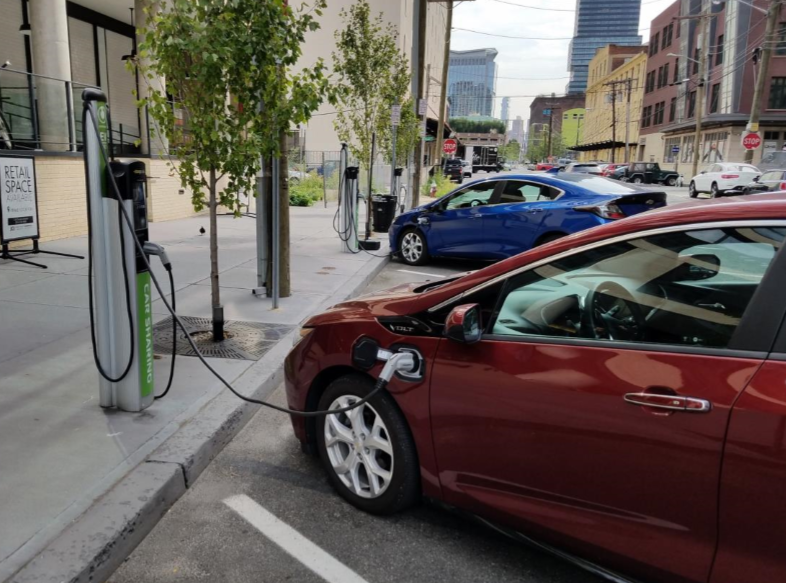 New Jersey has signed a separate memorandum of understanding committing to a goal of 330,000 zero-emission vehicles registered in the state by 2025. Today’s announcement follows Monday’s filing by the Department of Environmental Protection of two rules that will steer New Jersey’s re-entry into the Regional Greenhouse Gas Initiative, an effort that works to reduce greenhouse gas emissions from the power sector. This effort, also known as RGGI, is made up of Mid-Atlantic and New England states that uses a cap-and-trade auction process to encourage more market efficiencies, investments in renewable energy, and improvements in power-plant technology to reduce power plant emissions. New Jersey was a charter member of this effort but left in 2012, during the administration of Governor Chris Christie. The state is on target to rejoin RGGI in early 2020. The state is also reviewing hundreds of applications for projects that will reduce air pollutants and greenhouse gas emissions from the transportation sector using New Jersey’s $72.2 million allocation of the national Volkswagen settlement. This funding resulted from federal actions against Volkswagen for installing devices that allowed vehicles it manufactured to emit pollutants without being detected by emissions-testing programs across the nation. The efforts focus on reducing smog-causing nitrogen oxides through more use of zero-emission vehicles. As directed by Governor Murphy projects will focus on those that benefit environmental justice communities.